No matter which accommodations you choose, you're welcome to enjoy our private beach, complimentary kayak and bicycle rentals and a complimentary breakfast buffet to start off each and every day. From private beach weddings, woodsy intimate vows, or grand ballroom events, no matter your wedding style or party size, a wedding at Gordon Lodge offers an unforgettable experience. Groups large and small come to Gordon Lodge to refresh, recharge and reconnect through meetings, events and activities catered to their needs. Relax however you see fit, whether it be hiking through miles of marked trails, paddling along the lake, casting a line from our private shoreline or simply catching a sunset. At Top Deck, our spectacular sunsets come second to delicious dishes, nightly features and daily happy hour. For over a century guests have been coming to Gordon Lodge’s lakeside grounds for a break from the ordinary, where they can relax, take in the scenery and move at their own pace just as the founders Dr. A.J. Gordon and his wife did when they built their first summer home among the evergreens and sparkling waters of North Bay. 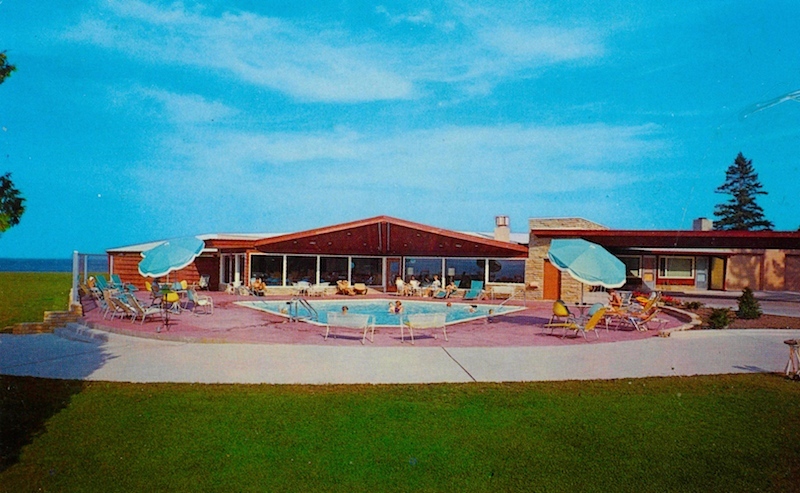 After years of hosting friends and family in their home, the Mrs. Gordon and son Phil established the lakeside resort known as Gordon Lodge and ran it as a family business until 2005, building new cottages, rebuilding after fires and adding the amenities our guests love today like the outdoor pool, tennis courts and hiking trails. In 2005, the 130-acre property was purchased by John and Wendy Tinnon. While much has been updated, the Tinnons aim to preserve and protect the attractions, hospitality and spirit that attracted guests here all those years ago.